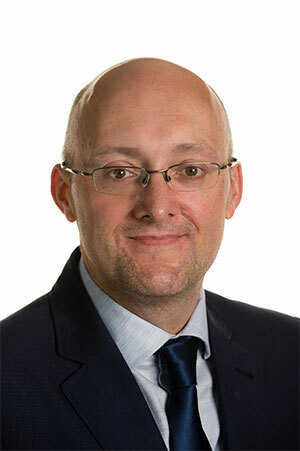 Russell has a wealth of experience in freight forwarding, with a career spanning almost three decades. During this time, he has gained experience with companies of varying sizes, from small start-ups to large multinationals, and across almost every vertical – including in specialist fields such as exhibition and film/television forwarding, as well as in general freight. With a background predominantly in air freight, Russell now works as Branch Manager for Yusen Logistics’ Heathrow warehousing facility and oversees the daily operation of the site. UK businesses are seizing export opportunities with a record high of £620.2bn UK exports recorded last financial year and Heathrow airport, the UK’s leading air gateway, reporting double-digit cargo growth of 10.2% for the 12 months to December 2017 with East Asia, Europe and the US its biggest markets. Furthermore, the prospect of increased profits and turnover are further encouraging businesses to expand their offering with a recent report by Lloyds Bank stating that two in five UK businesses are planning to export or enter a new market for the first time before the end of the year. Air freight consignments are not always large but they are often high in value. The procedures that a site has in place are of the utmost importance to keep your goods secure and safeguard your brand. From 24 hour manned security to full site CCTV coverage, your logistics provider should advise you of the level of security needed for your products, which typically will vary during the year according to seasonal peaks. However, protecting your products from theft is just one element of securing your goods. Operating the correct manual handling equipment for your goods will minimise product damage and specialised air freight equipment, such as roller beds for ULDs, will further reduce touch points to keep your products safe. Air freight is fast-moving and complex so operations must be able to adapt to rapidly-changing circumstances. Your logistics provider needs to have the capacity to respond to changes quickly and handle goods outside of normal working hours. Goods in air freight are also often in fast moving markets, so it is vital that the processes in your supply chain reflect this. With goods often repacked and configured onto aircraft units within hours, a warehousing facility should have the versatility to manage consignments of various sizes and weights quickly and efficiently. 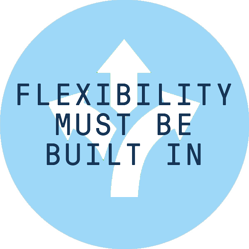 Whilst added value services, such as bundling and assembly, will configure orders to your exact customer requirements at the latest possible stage of the supply chain. 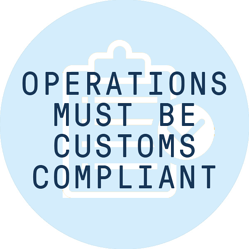 The customs environment is continually changing with new programmes, initiatives and regulations constantly updated at both international and national levels. That’s why it’s vital for your logistics provider to be compliant with both local and international customs, and for their customs controls and procedures to be secure and efficient. In recent years, significant changes have included the WTO Trade Facilitation Agreement and the introduction of the SAFE Framework for global trade. In the UK today, the importance of Authorised Economic Operator (AEO) status is beginning to come into play - despite already being widely adopted across other European countries – whilst the upcoming introduction of a new Customs Declaration System in 2019 will replace CHIEF, a system that is nearly 25 years old. Here at Yusen Logistics, our strategic alliances around the globe give you the flexibility to choose from a range of air freight service options. Seamlessly tailored to your precise needs and complete with end-to-end visibility. In the UK, our bonded and AEO accredited warehousing facility in Heathrow is ideally located in close proximity to the airport’s cargo hub with specialised handling equipment for air freight and an onsite International Freight Forwarding (IFF) team to support with even the most complex requirements.